Schools are on a Delayed or Alternative Schedule. When the start of the student school day is delayed by two or more hours, teachers will operate on a delay of one hour less than the delay for students. All other employees should report at the normal time even if schools operate on a delayed basis. If students are to be dismissed early, employees are expected to remain at their worksite. If employees are to be dismissed early, they will be notified by their supervisor or via the district’s emergency radio system. Full-time 262-day employees report to work unless directed otherwise by the superintendent. Employee calendar groups 147-01 through 210-01 do not report to work on Snow Days. The day will be made up on the approved make-up day. Employee calendar groups 210-02 through 240-01, please see the directions below. Employee calendar groups 215-01, 215-02, 215-06, 220-01, 220-04, and 230-02, please see the chart below. Because preapproval is required, Extended Days are not to be used on Snow/Inclement Weather Days. All employees should monitor local media and sign up for One Call Now to be notified of delays and closings. Please share this information in advance with your staff members so that we can avoid questions and confusion in the event of severe weather. Built-in day. You now work. This is already a work day. Now it becomes an instructional day for students. Working on this Snow Day will keep us from adding a day to the end of your working calendar. This is already a work day. Now it becomes an instructional day for students. However, to ensure that the end of the year is supported, a day will be added to the end or your working calendar. 220-01 Athletic Directors—The February 29 PTC day will be made up on two evenings. The March 14 Professional-Development (PD) Flex Day will also be made up at a later date. JCPS employees will have their paycheck deposited to their bank account via direct deposit on pay day when schools are closed due to inclement weather. Employees may view their pay advices by visiting the Employee Self Service site. Visit the Employee Self Service site. Click the LOG IN link at the top right corner of the site page. Input your username (Employee ID Number). The first time you log in to the site, you will be prompted to change your password and set a password hint. 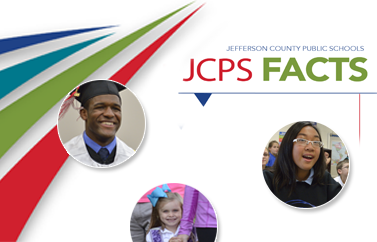 For assistance, contact the JCPS Help Desk at (502) 485-3552. If you are prompted for the system to remember your password, click No! Pay stubs will be available for viewing on pay day Fridays. Important: To log off the system, click the LOG OUT link at the top right corner of the site page.